I can’t believe that we are gearing up for the beginning of another school year already. It seems like just yesterday I sprayed them down with silly string as they got off the bus on their last day of school. I am grateful that for the first time ever, both kids will be in the same school. That being said, Back to School time is probably the busiest time of the year for my family. This year we also have my husband transitioning to a new job so it is extra crazy. Planning is crucial when it comes to a smooth start to the school year. Getting a routine started and planning meals for the week are my priorities and it really makes the start of the school year go smoothly. To prepare I always make a list of some good lunches for the kids that I know they will love. This helps me with my grocery shopping and makes mornings a little less hectic for everyone. One of my kids’ favorite meals involves corn dogs. 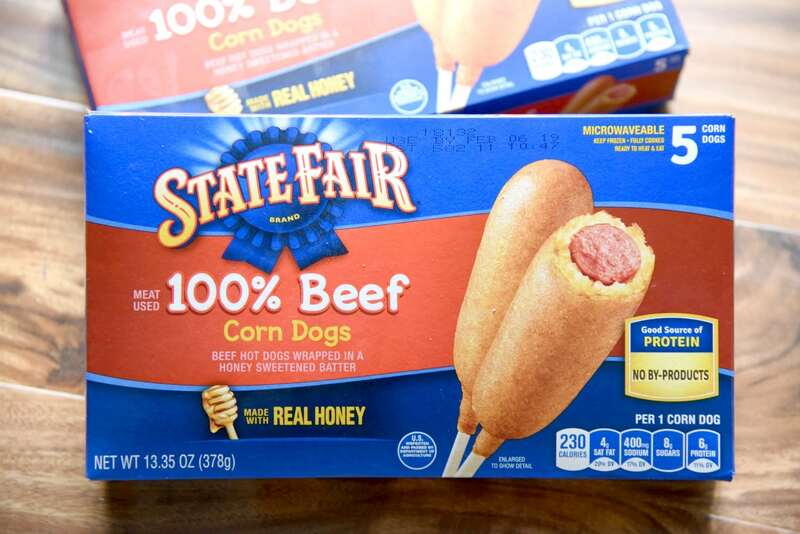 Recently I stocked up on State Fair® Corn Dogs on my weekly Walmart grocery trip. State Fair Corn Dogs are made with real chicken, turkey, pork, and beef. Each corn dog also contains 6 grams of protein. 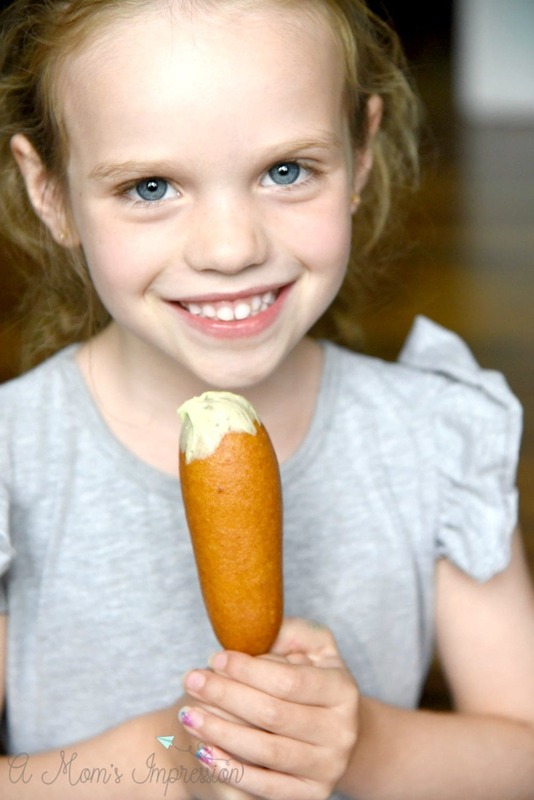 Each corn dog is dipped in a honey-sweetened batter so the kids just love them. I love to pair them with a fruit, veggie and a healthy dipping sauce for a complete kid-friendly lunch. 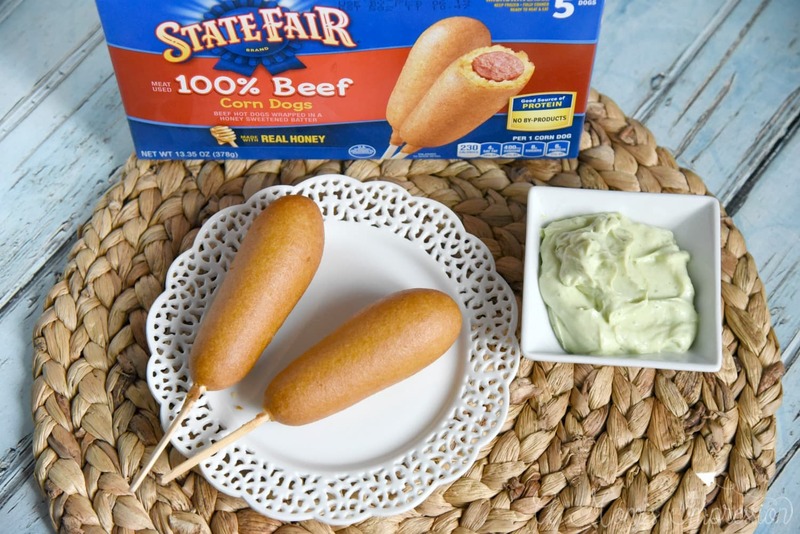 Have you ever experimented with dipping sauces for your corn dogs? We love them because it brings a different flavor profile to the corn dog with some added nutrients. 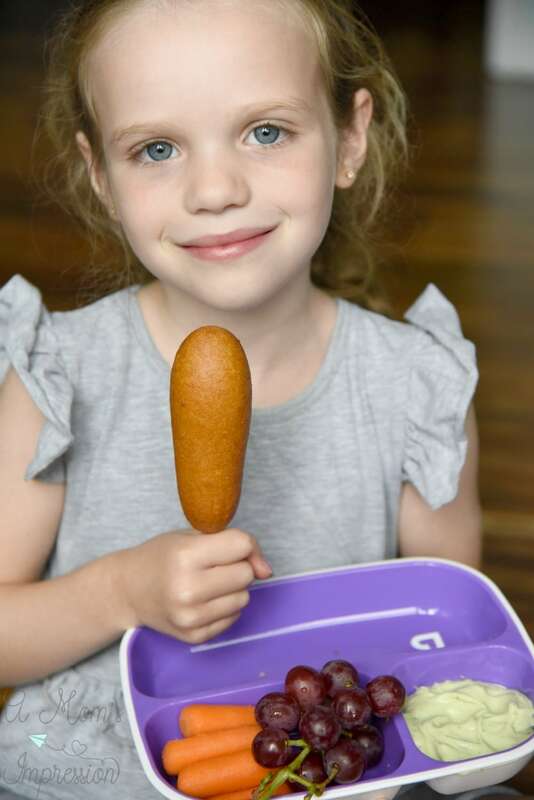 Corn dogs and dipping sauce are also great for lunchboxes, just wrap in foil and let your kids dip away at lunchtime! 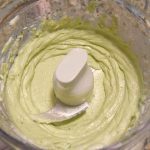 One of my favorite dipping sauces is avocado ranch made with Greek yogurt instead of sour cream. It is a bit tangy yet gives the ranch flavor that my kids love. It tastes great with our State Fair Corn Dogs. Avocados give the dip a great, thick, creamy texture. I love using the dip for carrots and pita chips as well. Best of all, it takes just minutes to make! 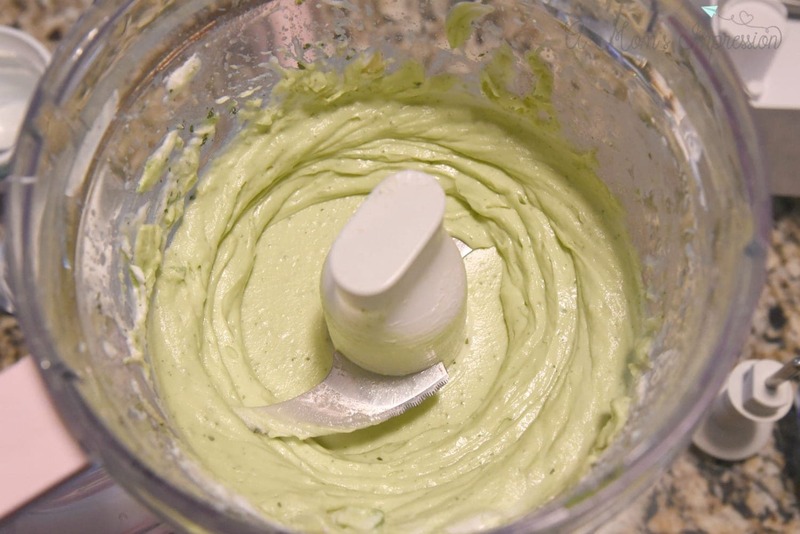 Remove pit from avocados and add to a food processor. Add the juice of the lime to the bowl along with yogurt, ranch, and water. Blend until smooth. You may need to add a little more water to get the consistency that you like. Store in an airtight container in the fridge for up to a week. Back to School Fun with Teen Titan Go! Are your kids looking forward to Teen Titans Go! To The Movies ? It is being released on July 27th but you don’t have to wait for all the fun! Click here to take a fun quiz to find out what Teen Titan your child is most like and get some great deals on Tyson®, State Fair®, Jimmy Dean®, Hillshire Farm® Brands just in time for school to start! Also be sure to check out the great Shopkick offer for even more savings while you are there! Be sure to check out our Instagram page for a fun giveaway! I hope your family enjoys a stress-free start to the school year. Remember it is all about planning to make the transition go smoothly. I would love to hear your tips for a smooth Back to School!